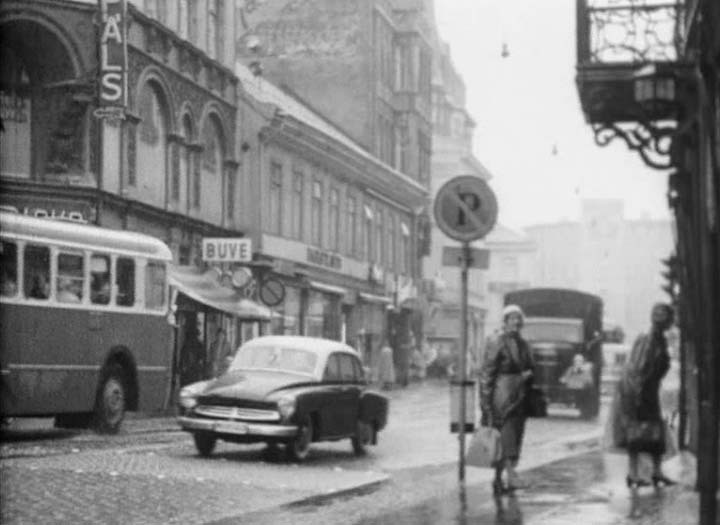 IMCDb.org: 1956 Wartburg Limousine Standard [311-0] in "Mitt hjärtas Malmö, 2005-2019"
Maybe IFA was just used in the ad to show the connection with the IFA F8 and F9 sold earlier here. It's normally known as the Wartburg 311, isn't it? Quote It's normally known as the Wartburg 311, isn't it? It is, and I think that should be added as well. It is an early Wartburg 311 may be 1956 or 1957.The Wartburg succeeded the IFA F9 in 1956 .In some countries they were also known as the VEB ( Automobielwerk Eisenach) Wartburg. The publicity here is thus interesting , because even in Germany the IFA name ( Industrie-Vereinung Volkseigener Fahrzeugwerke Eisenach/Zwickau )was dropped on cars in 1956.I also think that the name IFA in this ad has been retained to show a connection of distribution with the former post war IFA's F8 and F9. How is an IFA car driving in Sweden,behind we could see in old VOLVO truck? This evening there was a TV-reportage about cars in the DDR (from 2010, but I didn't know it before), there was said, that between 1958 and 1960 were 1200 Wartburg exported to the USA! Has anyone heard anything about that? Can anyone confirm that? It was said by some former employees of the PR- and export-division of Wartburg back then. It was - I have US brochure on different HDD. Some US citizens wrote a protest to the government that it is a bad thing to import cars from there during the cold war. Ingo: I still have some K70 stuff for you..
Nice Shall I look for more stuff for you or are the set of 1970ies "auto katalog"-issues, I've sent two years(?) ago, still fine for you?